The Pierces Creek fire was a stark warning for residents on the western edge of Canberra. File photo. Canberra’s bushfire season has been extended a further month till the end of April 2019, making it the longest bushfire danger period since the deadly 2003 bushfires that tore through the ACT’s southern suburbs. ACT Emergency Services Agency commissioner Dom Lane has extended the 2018/19 bushfire season, citing a lack of rain and continued days of elevated fire conditions. Traditionally, the bushfire season commences on 1 October and runs through until 31 March, unless conditions warrant a variation. The ESA also brought forward the Territory’s bushfire season, declaring that it will begin one month early – on 1 September 2018 – due to forecast dry conditions. 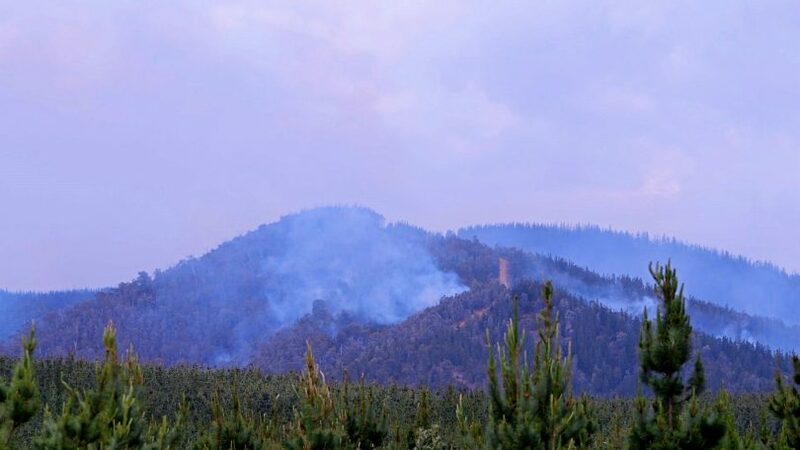 At the time, Chief Officer of ACT Rural Fire Service Joe Murphy said the ACT was entering a phase of dangerous fire conditions similar to that of 2003, which would only get worse when the hot weather arrived. An ESA spokesperson said that even though there was rain over the 2018/19 bushfire season, it wasn’t enough to allay fears. “The ACT has received rain, although not of a duration to make a long-lasting impact on current soil dryness,” the spokesperson said. Information about required permits, fire danger rating levels, and bushfire warnings can be found on the ESA website.